The Arts program is an essential part of the day-to-day life of our students across the three divisions of our school. We firmly believe that students must engage with the arts and the creative process every day. 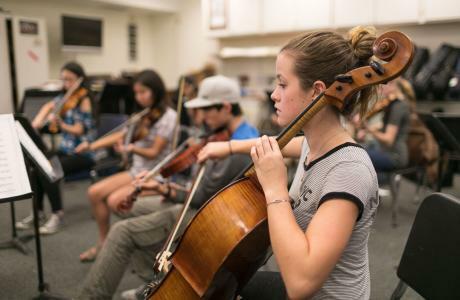 Our program emphasizes a breadth of experiences for each student, combined with a depth of inquiry and practice in those areas that students need greater challenge as they hone their artistic talent and craft. The Director of Theater offers electives in both the Middle and High Schools and directs and produces several student performances. 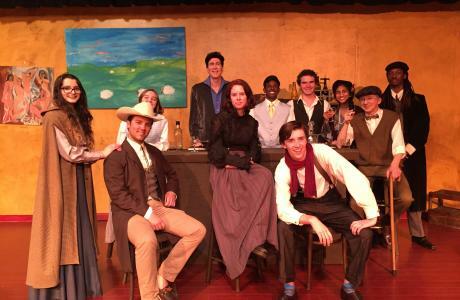 High School productions over the last few years include Arthur Miller’s All My Sons, Moliere’s The Learned Ladies, Arsenic and Old Lace by Joseph Kesselring, and Our Miss Brooks by R. J. Mann. Bewitched, and Ghost Stories are two of the recent plays performed by Middle School students. The school is a member of the International Thespian Society, which honors outstanding High School actors at an annual dinner. The Country Day Art Department is comprised of two full-time teachers and two part-time teachers who teach art to students in pre-kindergarten through 12th grade. 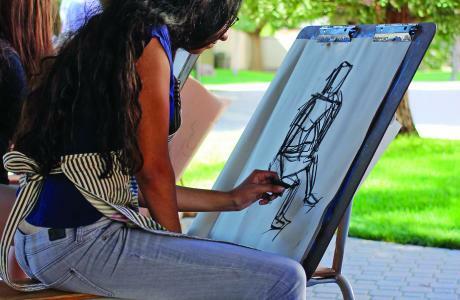 The Lower School art teacher teaches several projects throughout the year, and lessons include both studio processes and an introduction to concepts from Art History. Our spacious art studio is brimming with artists’ tools and professional quality supplies that enable our youngest artists to experience success in creating work that is not only visually pleasing, but that also develops excellent technique and an appreciation for the process of art creation. The school has a chapter of the National Art Honor Society. 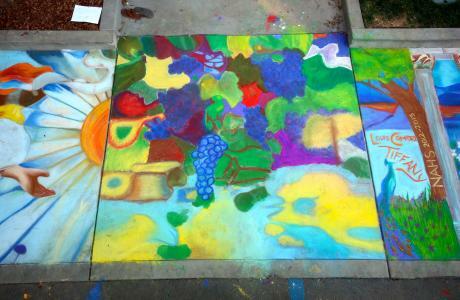 Each fall, the group orchestrates the creation of a sidewalk masterpiece in chalk. This mural celebrates a selected artist or a period in art history and is treaded upon carefully for weeks following its completion. The chalk mural is an all-day event and the Country Day National Art Honor Society creates the exhibit.